What a wonderful review! I downloaded this book to my Kindle, but can't bring myself to read it. A few years ago, we lost my nephew to rhabdomyosarcoma, which is a really rare and totally sucky pediatric cancer. So...I want to read it, I truly do, but I don't think I can handle it yet. Maybe next year. That is terribly difficult. Thank you though, for sharing that here. I hope that you will be able to read this novel sometime soon. It's hopeful. I can definitely see where it may be a difficult read though. I AM SO GLAD WE READ THIS. It like squeezed my heart. 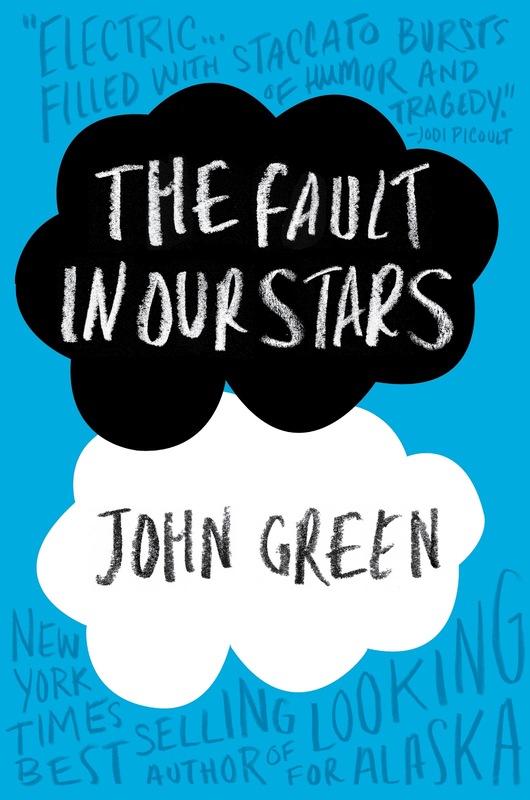 I loved it so much and Hazel and Augustus were awesome. I loved Isaac too; and I agree, there needed to be more of him. I especially loved what he said during the practice obituary about the robot eyes. It was sweet and then totally teenage boy of him to switch it up. This book was just awesomeness, and ugh, so UNFAIR. Why?? I liked the ending, but like you, I wanted a bit more. I thought there was at least another page left, so I rushed through those last few sentences (with tears in my eyes, of course) and then turned the page for more and then I was like...noooooooo! I am super glad we read this together! We'll have to do another one sometime! :) Yeah, I felt like there had to be ONE MORE PAGE!!!! Alas, it was still a good ending. I've been contemplating reading this book for awhile. When I originally read the synopsis I was less than thrilled. 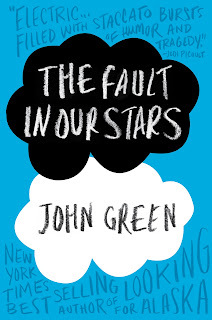 John Green's books are usually pretty hit or miss for me. I've been overwhelmed recently with great reviews of this book so I guess it's time to give it a shot. It has got to be next on my to-read list!